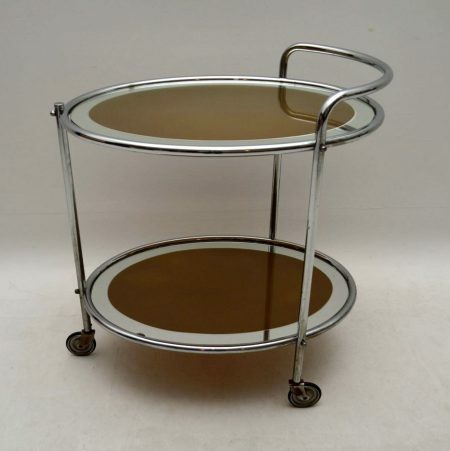 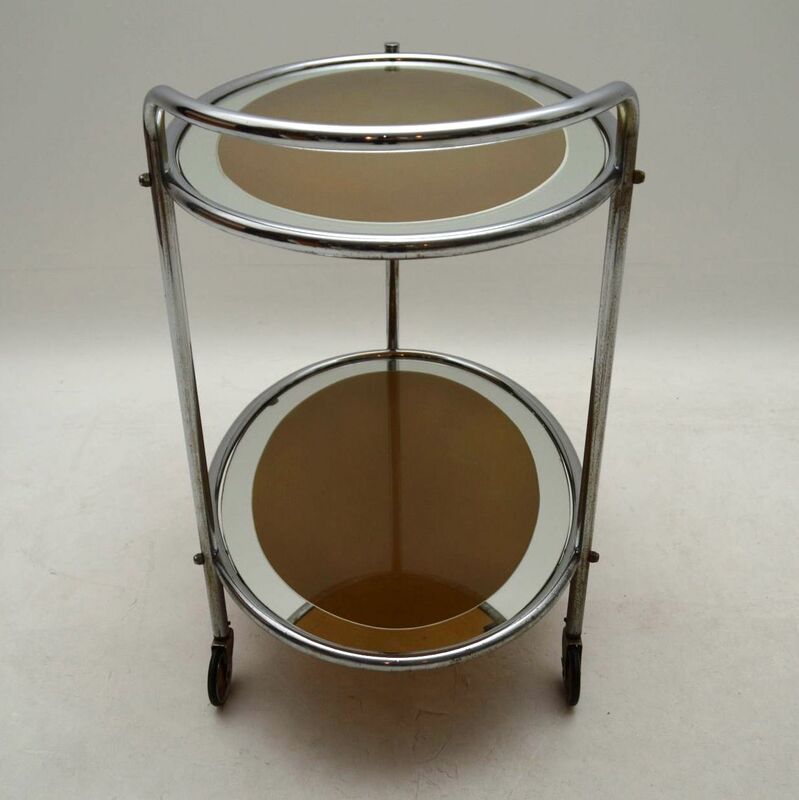 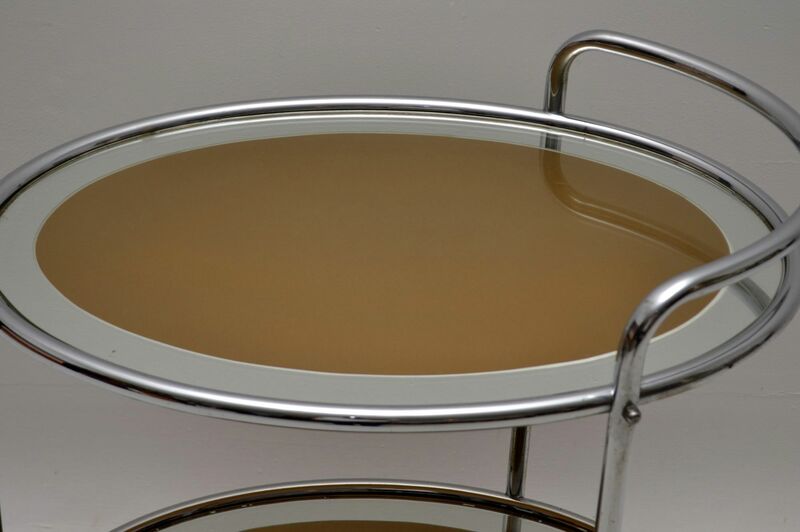 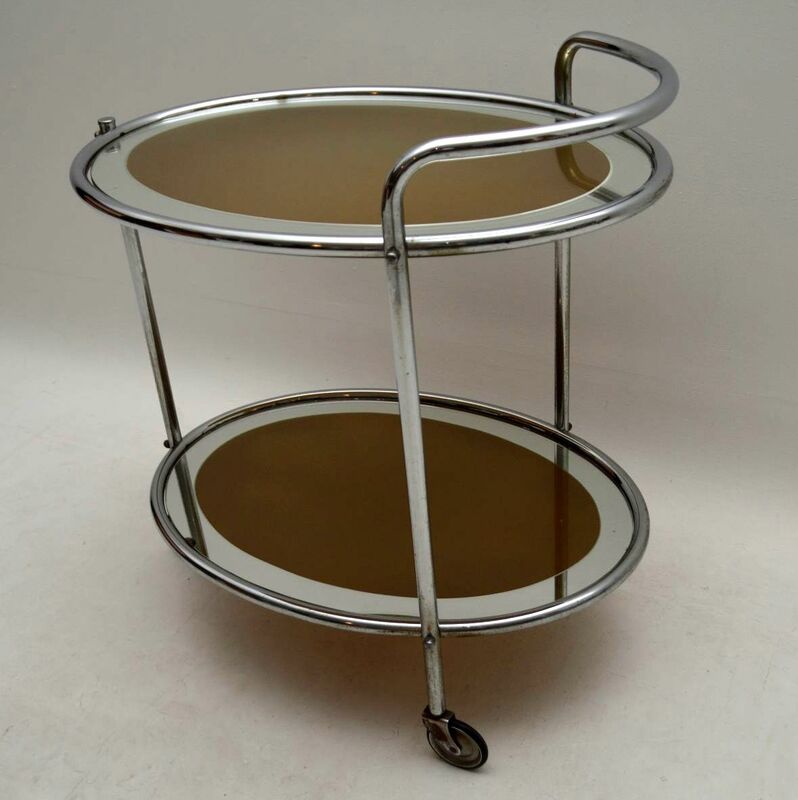 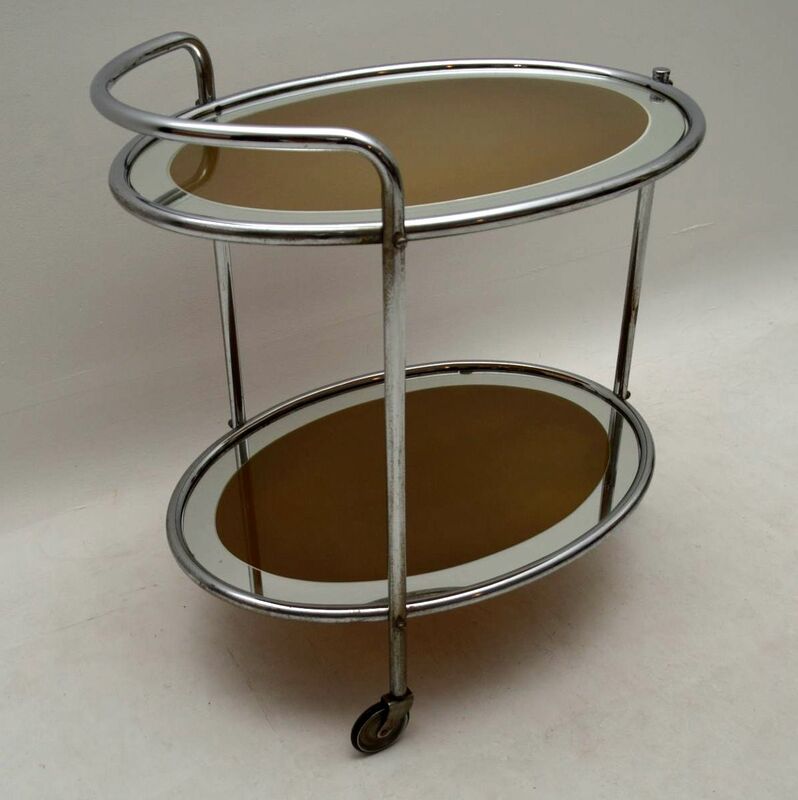 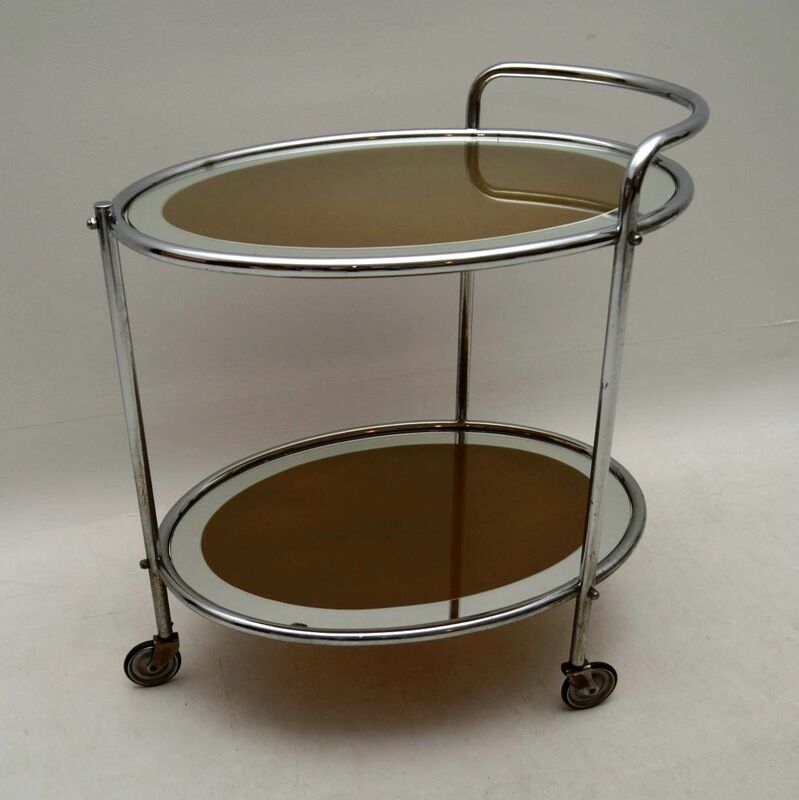 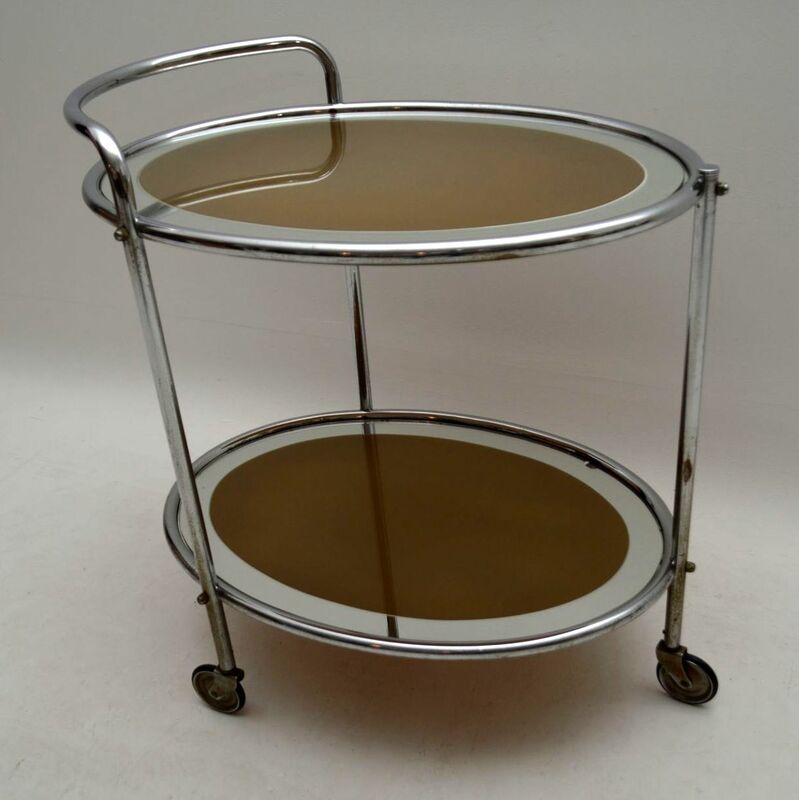 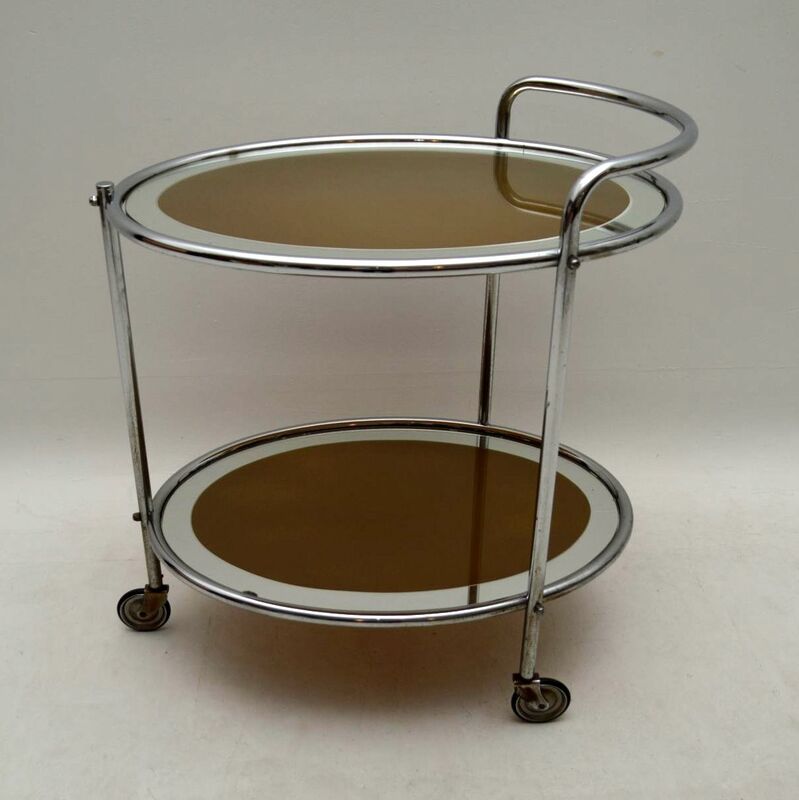 A very stylish and practical vintage drinks trolley, this was made in France and dates from around the 1950's. 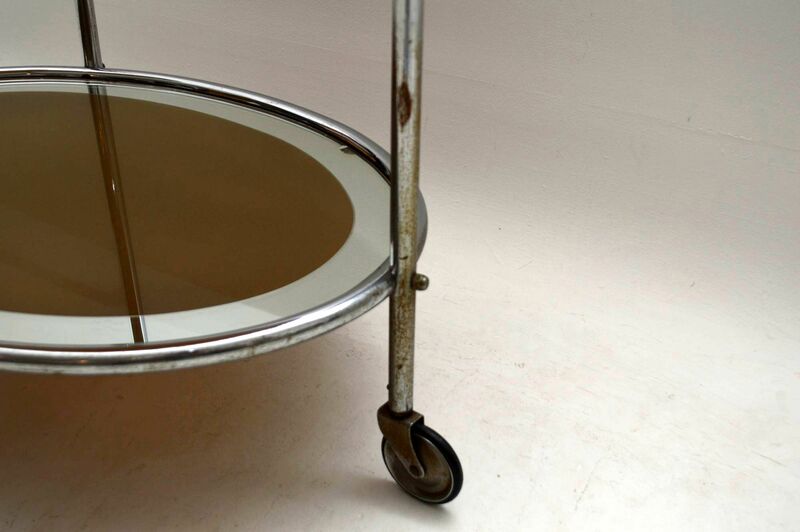 The condition is excellent for its age, with only some very minor wear to be seen. 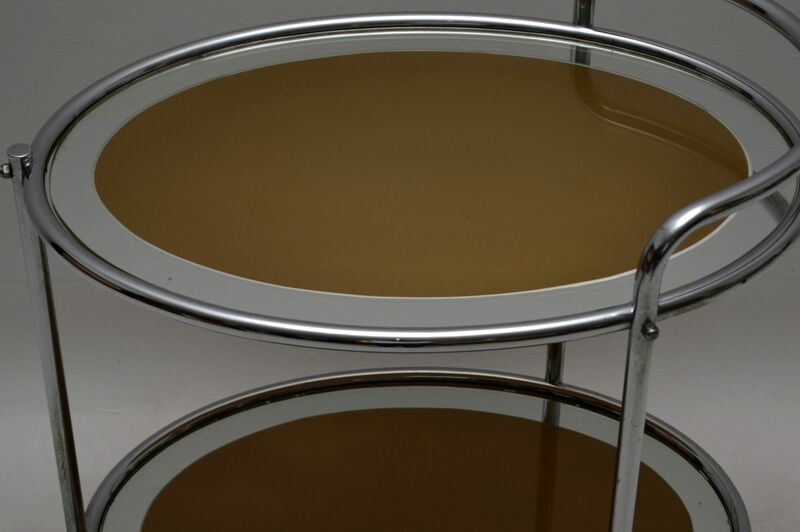 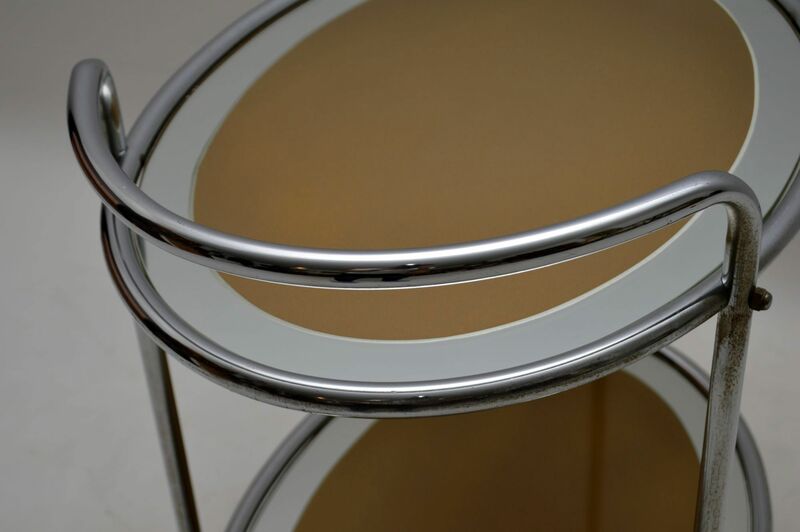 The tubular steel frame is clean, sturdy and sound, with some tarnishing towards the bottom of the legs. 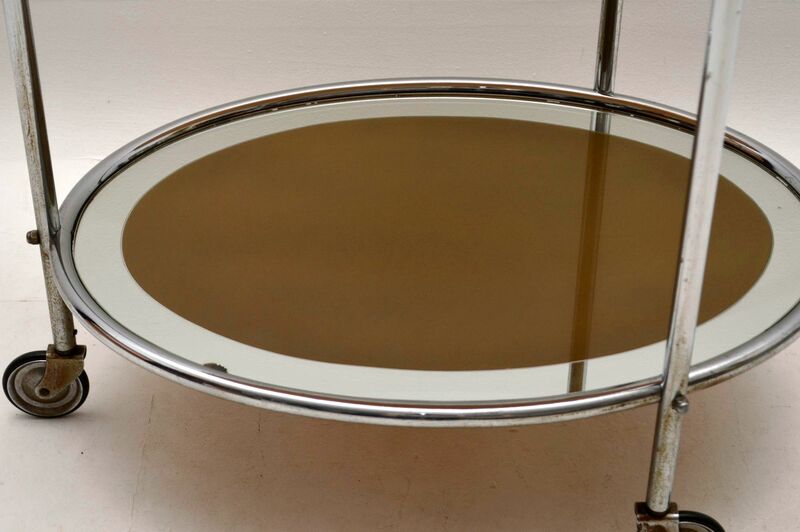 This has two inset oval glass surfaces with gold timged backing, these are both clean and free from any chips to the glass. 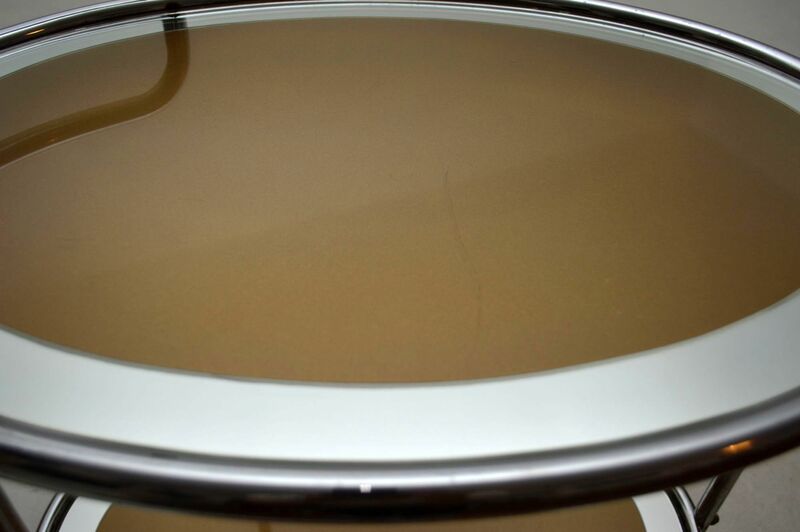 The top shelf just has one or two faint marks, the lower shelf has a tiny area towards the edge where the backing has come away a little, seen in the images. 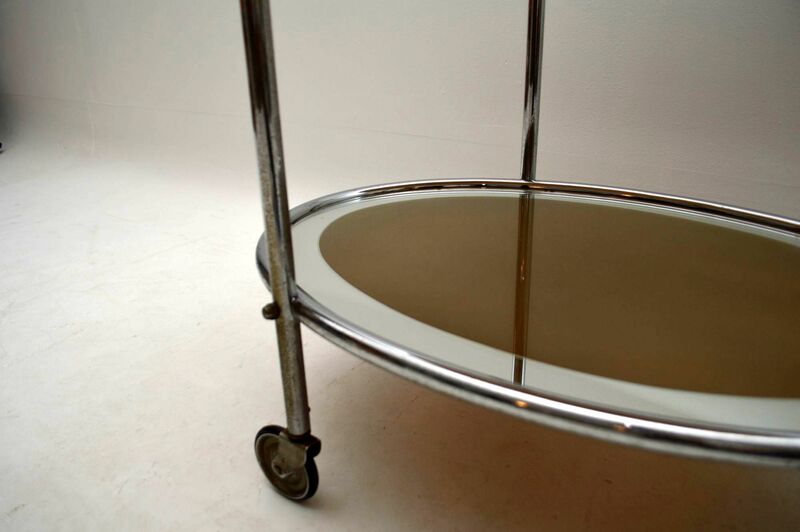 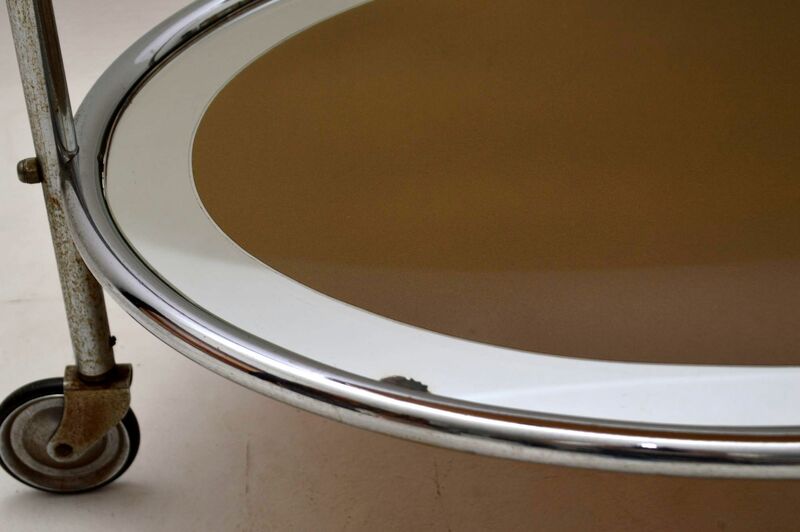 This rolls smoothly on the casters and looks great from all angles.